Andrew Lloyd Webber's Purrrfect Musical is back! Andrew Lloyd Webber's legendary musical 'Cats' returns to the West End for a limited run at the London Palladium thanks to popular demand. The musical will star Beverley Knight as Grizabella the glamour cat. The show is based on an unusual poem by T.S Eliot which features a group of felines called the Jellicle Cats. They meet at the annual Jellicle Ball to hear which cat their leader, Old Deuteronomy, has chosen to go to the Heaviside Layer to be reborn. The original London production ran for 21 years and is one of the most successful and well loved shows in West End history, featuring hits such as 'Macavity: The Mystery Cat', 'Jellicle Song for Jellicle Cats' and the renowned 'Memory'. This iconic musical features a revamped design by John Napier, updated choreography by Gillian Lynne and is directed by Sir Trevor Nunn. Expect the return of the 'Cats' legwarmers, the huge '80s wigs and of course the famous feline catsuits. Cats is fun for all the family. 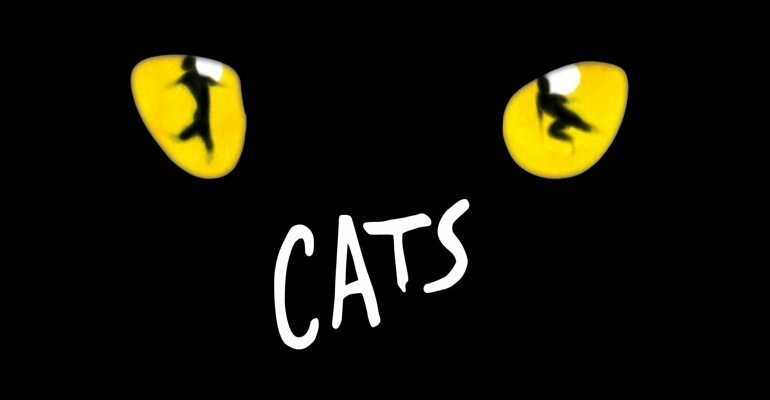 Children over the age of 5 will love to see the Cats come to life on stage in what is one of the undisputed best musicals of all time. A wonderful show. I have seen it at least 45 times. The best musical ever. Greatest musical I have seen.. I have attended at least 30 times all over England..
Amazing show. Fantastic atmosphere in the London Palladium. The whole cast have such energy. Thoroughly enjoyed myself. It was absolutely wonderful- having been too young the first time around I was absolutely thrilled when I heard it was coming back to London! I saw it on New Year's Day, the evening performance and whilst Nicole Scherzinger was on holiday, Grizabella was amazing. If this could be passed on to the cast at all, I thought they were absolutely perfect and, a theatre addict, this was one of, if not the, best musical I've ever seen- you kicked my New Year off to the most incredible start, Thank you! Massively disappointed. If I buy Heinz baked beans, I expect to get Heinz baked beans. There is no reference to this show being revised in the sales literature. We sat there bewildered,and without a clue what was going on. The dancing and singing are marvellous. 100% fantastic apart from "Rum Tum Tugger's" Character being ruined, changing him to MC Hammer.... WHY oh WHY ! did you do that ! Don't fix what's not broken! Having seen the show over 15 years ago it was a delight to refresh the memory. Was an outstanding show however really did not enjoy the gangster rap. It's very last year and the original was so perfect. Absolutely brilliant evening,mind blowing Nicole Scherzinger together with a splendid cast, have to say we all thoroughly left the Theatre feeling wonderful. Expensive tickets purchased so my daughter could see Nicole Scherzinger as Grizabella for her birthday. Pity Nicole chose not to turn up for work that day and was instead posting pictures of her 'great night out' in Austria on Instagram. Think Kerry Ellis will be far more professional. Purchased tickets for my sister and her husband for Christmas knowing she'd love this as a HUGE Nicole Scherzinger fan but was massively disappointed when she wasn't in the show on Saturday night(31st). She enjoyed the show but it didn't meet her expectations. If stars aren't available on particular dates, this information should be made known as I still paid for full price tickets!! Andrew Bushrod Thanks Nicole. My wife and I went to London on the back of you performing in the west end show Cats.I spent best part of £1000 to go and watch the show only to be told at the theatre that you basically couldn't be bothered to turn up and we where told that you are ill but in fact you had a better offer to do other things which was very disappointing. Not very professional whatsoever. Must be nice to get on a private jet and swan off to Austria. What about the people who spend their hard earned money to come and see you. Kerry Ellis was quite simply outstanding (saw show on 31/01/2015 at 2.30. I had goosebumps the whole time. What a great performance from the entire cast. Loved it. We saw Cats last night. The show was brilliant and we thoroughly enjoyed it despite the disappointment of finding out once inside the theatre that Nicole wasn't to be in it. I was surprised then to read later online that Nicole's grandmother was in town and Nicole was looking forward to her being in the audience last night to watch her perform? But then she didn't! I know you shouldn't go to see one particular person in a show but you could feel everyone's disappointment as we waited to go in. We also felt the understudy had supporters in so was it known in advance that Nicole was not going on? We booked tickets months ago and even then we couldn't get 2 together but the show was worth the money. The cast are amazing, the set breath taking, lighting incredible and I could have listened to the orchestra all night! I just wanted to see Nicole!!! I saw Cats last night with my family, I had given them tickets as a Christmas gift. We were all really looking forward to watching the performance. The shows itself was good, and the cast were fantastic, Nicole played the part of Grizabella really well. However my family and I felt the theatre staff on this occasion actually let the performance down. For some reason all 'normal' theatre etiquette seemed not to apply to this performance. I appreciate as the show is running for a limited time, and the fact Nicole was playing the lead may have had something to do with this, but I just found it incredibly rude that people were shown to there seats mid performance, making other members of audience move to accommodate late comers. In my experience most West end shows, would not allow people to enter late as to not disrupt the performers and the audience. This went on throughout the performance, people were entering and leaving as they saw fit. I think the staff could have managed the situation better. Unfortunately due to the issues with the late comers, and people entering / leaving throughout it gave a polished production a very amateur feel. Which for us made us not enjoy the performance as much as we should have. I paid for 4 tickets to take my daughter for an 18th birthday treat, really sorry but we all thought it was random,repetitive and slightly confusing, the show improved in the second act, couldn't fault the cast, NS rendition of Memories was superb, but I would still have liked a refund! I saw the original production in 1981 but this has been substantially updated, and I was sceptical about it - especially during the first half of the show. But, wow, in the second half something happened and Nicole as Grizabella pulled the cat out of the bag and made the hair stand up on the back of my neck! I cried! The cast were sensational but the orchestra overwhelmed some of them so I couldn't hear all of the words. Nevertheless this was a first rate show from ultimate professionals. Cats is still such a classic! I thought it was fabulous. My only criticism is the rapping cat, I think the point was to update the show with his song but it actually made it seem dated. Great dancing and music, wasn't overly keen on the group singing found it hard to understand what was being sung as the words were not clear enough. I thought that Nicole was the best thing about the show; she shines as Grizabella. I can't understand why she hasn't performed in the West End before! I hope this is the start of a West End career for her. The show was brilliant but I have to say I preferred the original set of the 1980s production. The show was amazing. Cats is a one in a lifetime show that you must see or you missed something very special. But the London Palladium Venue is OK. The seats are just made to sit in for 3 hours. The toilets are in a desolate condition. No soap in the gents toilet ,extremely dirty and the ceiling has lots of stains on so you get scared to be in there. Needs desperate improvement. I was so excited to see Cats that I bought tickets the moment they came on sale earlier this year. I saw it the first time round when I was young and it's stuck with me. This production was just perfect - especially Nicole Scherzinger. I knew she was a talented singer but WOW, she knocked Elaine Paige out of the park. I don't entirely agree with the change of staging though. It used to be in the round but now the audience sit facing the stage. But I'm so happy that Cats returned, here's hoping it sticks around for a long time!